Jane received a BSc (Psych) from McGill University, Montreal, Quebec, Canada, and her BScOT and MSc from The University of Western Ontario, London, Ontario, Canada. 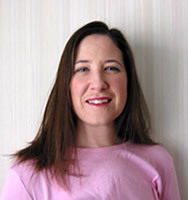 She is a registered occupational therapist in Ontario and with the NBCOT (U.S.A.). Jane has worked as an occupational therapist with individuals of all ages with diverse occupational performance and engagement issues, within various settings, including inpatient general medicine, rehab, skilled nursing, mental health and addictions; outpatient paediatrics, and adult orthopaedics and neurology; and homecare – adult neurology and orthopaedics.